4.5	stars -	"Review for Seppelt Great Entertainer Shiraz 750ml" Dale Carter This Seppelt Great Entertainer Shiraz 750ml is the best Shiraz I have tried. LEGEND HAS IT THAT BENNO SEPPELT, SON OF OUR FOUNDER JOSEPH, HAD A FLAIR FOR INVENTION. HIS WINE-TESTING LAB WAS UNUSUAL FOR THE TIME, CONTAINING MODERN EQUIPMENT OF HIS OWN DESIGN. HE ALSO FETCHED TOP DOLLAR FOR HIS CURED BACON, MADE FROM PIGS FED ON GRAPE-SKINS. BUT ABOVE ALL ELSE, HE WAS RENOWNED FOR MAKING GREAT WINE. 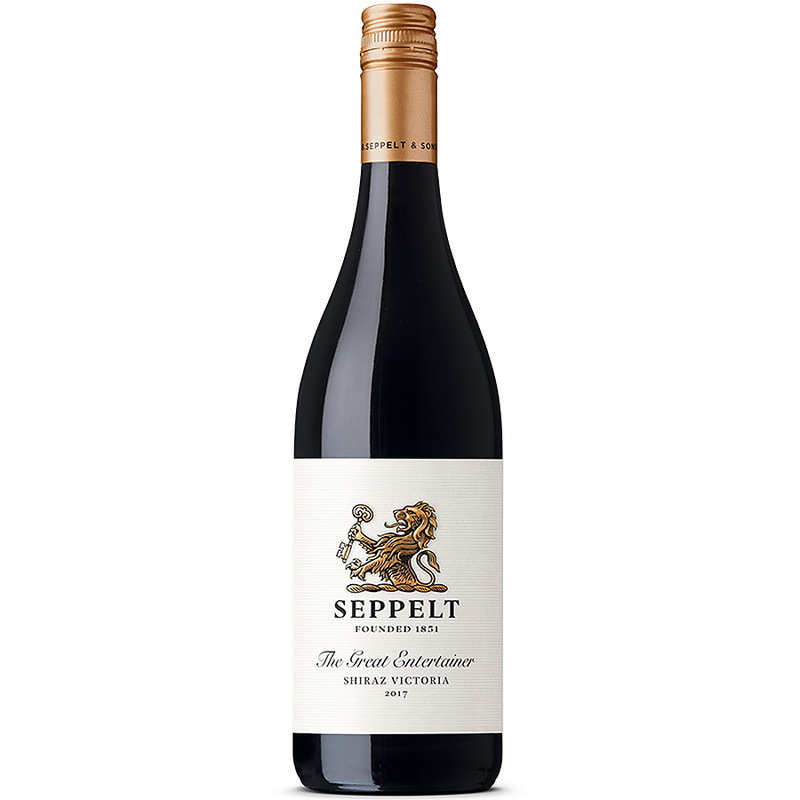 SEPPELT THE GREAT ENTERTAINER RANGE IS A FRESH AND LIVELY COLLECTION OF CROWD PLEASING DROPS INSPIRED BY THE MANY COLOURFUL PERSONALITIES WHO HAVE BEEN PART OF SEPPELT LEGEND SINCE 1851. CRAFTED FOR GREAT ENTERTAINERS ALIKE, THIS 2017 VICTORIAN SHIRAZ IS VIBRANT AND VELVETY WITH LINGERING CHERRY CHOCOLATE NOTES ON THE FINISH. WINEMAKING AND MATURATION Shiraz fruit was destemmed with no crushing and fermented on skins for 7 days followed by maturation stainless steel tank for 1 year before bottling. Aromas of red, dark and blue fruits with dark cherries, blood plums and perfumed rose petals combined with spice and a hint of star anise. Medium bodied in structure with red and blue fruits, cherries and spice combined with fine, velvety tannins and a hint of chocolate on the finish. A wet winter with above average rainfall was followed by cool, dry spring conditions, resulting in good fruit set and lower than average yields. Summer temperatures were cool with little rain, resulting in a long growing season and exceptional quality.